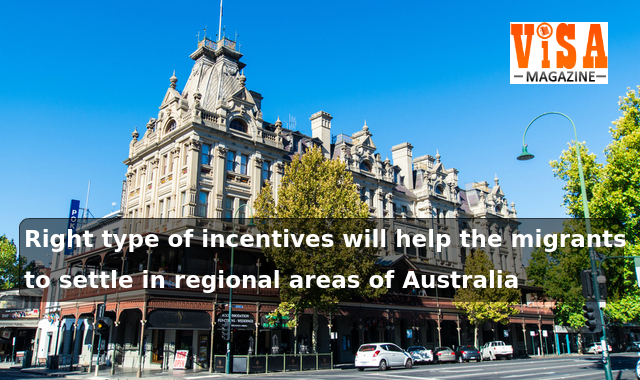 David Coleman, Immigration Minister of Australia says that he is having a look at the manner Australia can attract the top talents for taking up employment in its regions. Moreover, the immigration program should reflect the choices of the country. The best and bright must reach the country and enrich it. The Government has a deep commitment to improve its migration system for supporting the skilling needs of various regions in Australia. The immigration needs, are not similar in all areas and have a set of variations. Moreover, there is a need for matching the immigration patterns, to specific locations by improving the system. Recently, the debate on increasing population in both cities Melbourne and Sydney has become prominent in political circles. There is a talk, to make the new migrants, settle away from these two centers. Furthermore, the government is looking at options, in regional migration. This can happen, when there are right incentives, right structures, and right reasons for the migrants to reside in regional areas. There is a case for the Government to do more, for encouraging the migrants, to settle in regional areas. The process to move to regional areas will be simple. The government feels that the presence and compliance of the people in these areas must be ensured. Furthermore, there must be a proper follow up. Also, there are reports that the Government is thinking of overhauling the visa structure, and strike out the migrants having poor skills, because they become dependent on welfare. Finally, in the past the Government abolished 457-Visa and the replacement was a new Temporary Skills Shortage Visa. There were strict measures, for work experience, the English language, as well as minimum salary requirements. Overall, the Australian job seekers have benefited from the visa reforms. We at Visa Magazine will bring further developments, in this vital matter, to the notice of the aspirants. Please feel free to contact us.